Angel Heart Cakes is named for co-owner Debbie Umphrey's grandmother's angel food cake recipe, but the bakery, which opened in 2011, produces so much more. There are devils' food, coconut, and carrot cakes, cupcakes, tarts, puddings, pocket-pies, and many "grab and go" breakfast items, such, as mini angel food cakes, quick breads and individual quiches. There are also gluten-free treats including macarons. Co-owners Debbie Umphreys and Chris Rivera, have been busy providing baked goods for nearby business, including Facebook, and desserts for ZeroCater. 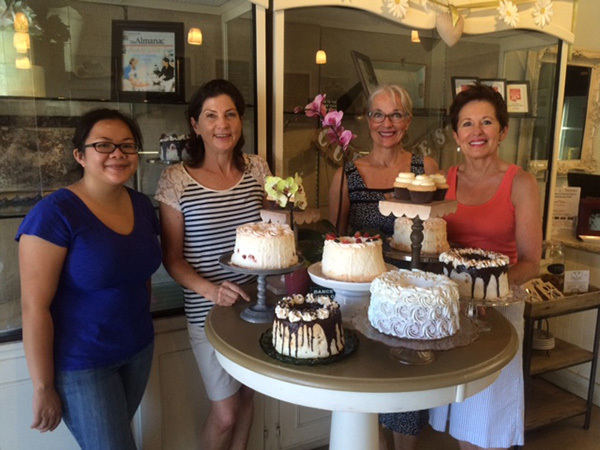 While they have discontinued their wholesale business, many former wholesale customers continue to stop by and pick up their cakes at the bakery, says Chris. 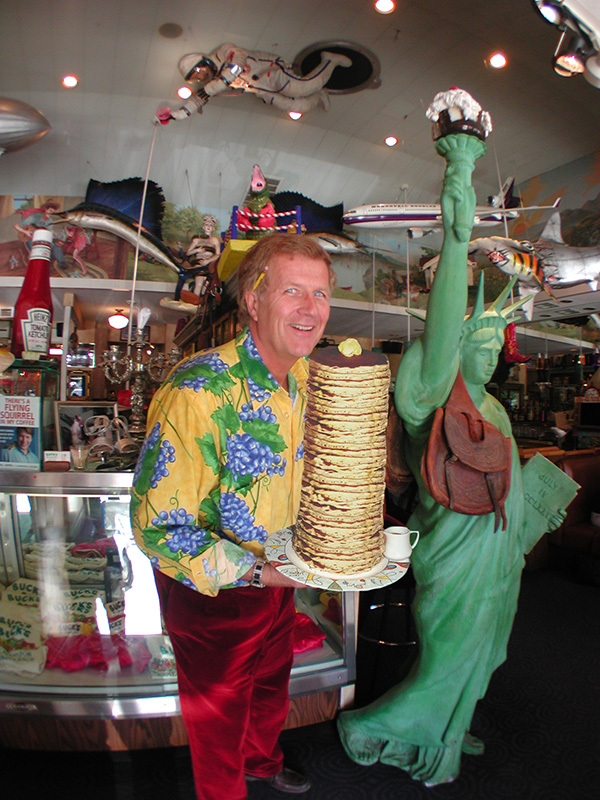 The award for favorite breakfast place goes to Buck's of Woodside, the iconic Woodside restaurant that may be more famous for its decor than its food. "The secret to Buck's is our staff," says Jamis MacNiven, who owns the restaurant with his wife, Margaret. "Some have been around so long that they speak the local Indian language. The food is good, sure, but the other side of the equation is the customers. People like to be with other people having fun. Oh, and the babies. In almost 25 years we have never had a bad baby." Breakfast is served Monday through Friday until 11 a.m. and weekends and holidays until 2:30 p.m. The award for favorite hamburger goes to The Dutch Goose, a Menlo Park institution for decades. While the Dutch Goose has been in Menlo Park forever, it recently closed to make the restaurant completely ADA compliant and just reopened on May 22. Owner Greg Stern says the Goose took the opportunity to add a pizza oven, and started serving pizza in June. "We could not have made the improvements without the support of the Beltramo family (our landlord) and the expertise of Midglen Studios (Steve Patrick) and County Restaurant Supply (Scott Krampert)," Mr. Stern said. 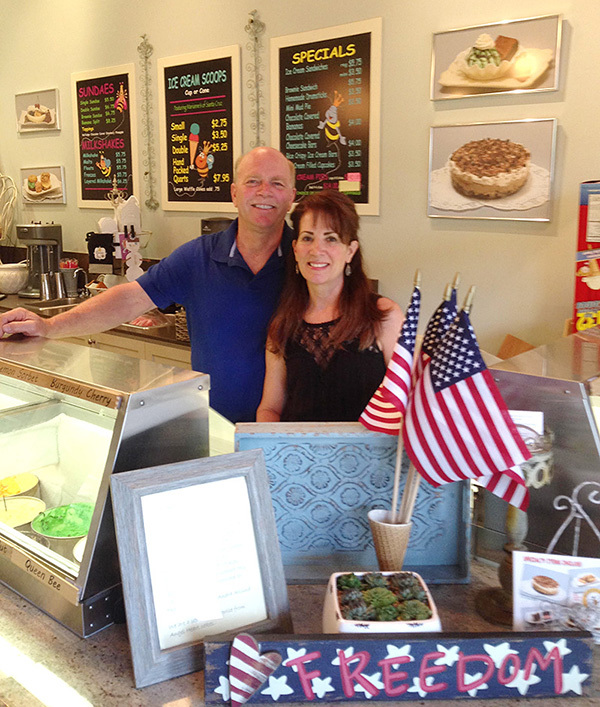 Queen Bee, winner of the Readers' Choice award in the ice cream/frozen yogurt category, serves some of the Bay Area's finest ice cream, including Marianne's from Santa Cruz, which has been made since 1958, says owner DeAndra Axlund. "We're an old fashioned mom and pop shop," he says. Among items offered by Queen Bee are ice cream sandwiches, malts, banana splits and ice cream filled cupcakes, to name a few. Besides the sweets, he says, the family-friendly environment keeps bringing the customers back. 3716 Florence St., Redwood City | (650) 787-5239. Applewood Pizza in Menlo Park takes the Reader's Choice award again for favorite pizza place. The Applewood menu has many options, including a lunch special of a personal pizza and drink for under $10. Customers like the variety of toppings, such as barbecue chicken, bell peppers, Canadian bacon, prawns and smoked salmon. Those who order a pre-made pizza have choices, too, including the Florentine pizza with marinated artichokes, mushrooms, bell peppers and fresh tomatoes. In addition to pizza and pasta, Applewood serves Hungarian food, such as Hungarian goulash and langos (Hungarian garlic bread). Shopping at Draeger's has become a way of life for generations of local residents dating from 1955 when the market first opened in a Quonset hut at 1010 University Drive. The family-owned store features a vast selection of everything from caviar to corn flakes. "Shoppers keep returning to the store because of the freshness and high quality of the products. 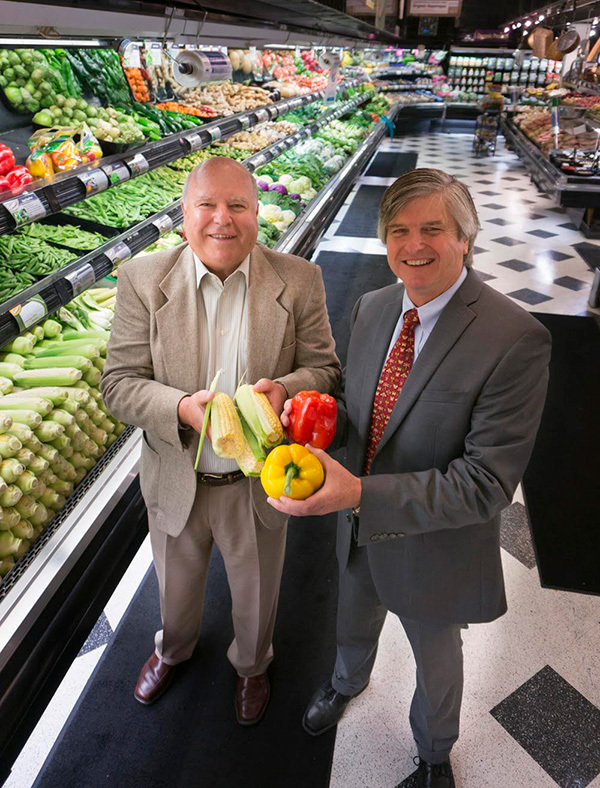 Because the store is a small, locally owned and operated company, we are probably best connected with the local producers," says Richard Draeger, one of the 10 children of the late Frank Draeger. (Frank was the son of founder Gustave Draeger.) "There are five of us who work here on an everyday basis," says Richard. Some of the next generation is also working in the business, the fourth generation to do so. The meat and fish department is staffed with trained butchers, who are happy to give extra service, such as cubing beef for a stew or splitting ham hocks. "That's something you don't see much of these days," Richard Draeger says. Woodside Deli, winner of the Readers' Choice award in the best sandwich category, has been making old-fashioned sandwiches for generations, says Gina Carle, daughter of the owner of the restaurant. It's the traditional Italian feel that is incorporated into the food and signature sandwiches (such as The Godfather) that keeps people coming back for more, she says. Besides sandwiches, Woodside Deli offers products it makes, such as pasta sauces, raviolis and salads. The deli sells a variety of imported meats, cheeses, wines, pastas, olive oils, vinegars, cookies and canned goods. It's the speed, quality, consistency and cleanliness that keep customers coming back to Su Hong To-Go, said Heidi Murphy, the takeout manager. "Most of our customers are with us for many, many years," she said. Over the past 30 years, the menu has stayed "pretty much the same," a characteristic that will apply to the restaurant's menus for the foreseeable future, she said.